MCCARTHY COOK & CO. EXPANDS INTO SAN DIEGO WITH ACQUISITION OF 213,000-SQUARE-FOOT CANYON PLAZA IN JOINT VENTURE WITH ALLIANCEBERNSTEIN U.S. REAL ESTATE PARTNERS, L.P.
COSTA MESA, CA (January 8, 2014) – McCarthy Cook & Co. (McCarthy Cook) announced today the acquisition of Canyon Plaza, a 2-building, 213,000 square-foot office campus located in the Sorrento Mesa submarket of San Diego, CA. The campus was acquired in a partnership with AllianceBernstein U.S. Real Estate Partners, L.P. (AllianceBernstein), a real estate investment fund sponsored by AllianceBernstein, L.P., a global investment management firm with $447 billion of assets under management. Lynn LaChapelle and Bob Prendergast of Jones Lang LaSalle represented the seller, a real estate investment fund advised by LaSalle Investment Management, a real estate investment firm with $47 billion of assets under management. McCarthy Cook and AllianceBernstein represented themselves in the transaction. Canyon Plaza is currently 49% leased to CareFusion Corporation (NYSE: CFN), a global health care company that develops market-leading technologies that help hospitals measurably improve patient care. The project was built in 1986 and expanded in 1993. It was previously master-leased to Conexant Systems. 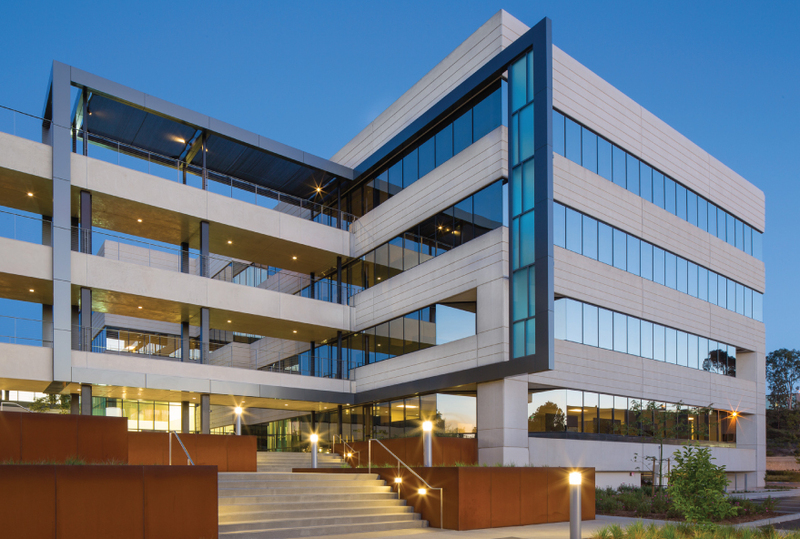 The approximately 100,000 square feet of existing vacancy will provide the new owners with the opportunity to transform Canyon Plaza into one of the premier, Class A, amenity-rich office campuses in Sorrento Mesa. The business plan will include the redevelopment of common areas and lobbies and the creation of project amenities such as a tenant lounge, café and fitness center. The San Diego office of Gensler Architects will lead the design efforts of the common areas and amenities. Jones Lang LaSalle has been retained to market the project to both full campus and multi-tenant users. This transaction marks McCarthy Cook’s first joint venture with AllianceBernstein U.S. Real Estate Partners, L.P.
About McCarthy Cook & Co.
McCarthy Cook & Co. was formed in 1995 as a real estate investment and development company. Since 1995, McCarthy Cook & Co. has completed approximately $4.5 billion in transactions representing approximately 10 million square feet of commercial office and mixed-used projects. During the same period, the firm has developed or has under development approximately 1.6 million square feet of office, retail and residential projects. The professionals at MCC specialize in the investment, development and operation of commercial real estate properties in the western United States. AllianceBernstein U.S. Real Estate Partners, L.P. is a real estate investment fund sponsored by AllianceBernstein, L.P., a global investment management firm with $447 billion of assets under management.